In 1975 Simon Gray wrote a play called Otherwise Engaged about a man (Simon Hench) who tries to keep the world at bay by pretending it doesn’t really exist. The world nevertheless keeps coming at him, in the form of his brother, his lodger, and his wife, demanding of him explanations of his brotherhood, his landlordhood, his husbandhood. In other words, all those closest to him require an explanation for his existence. 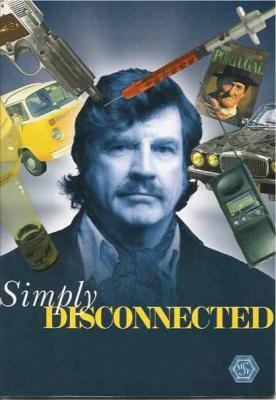 In 1996 Simon Gray wrote a sequel, in which he explores how Simon Hench responds to the catastrophes and absurdities of his life a quarter century on, when explanations are still being required. Simply Disconnected is now available as a Faber Contemporary Classic in Simon Gray: Plays 2. To order a copy on special offer at 25% discount please contact Faber using code GRAYPLAYS. Or check out the plays section of our bookshop.